Truth by Kbaig: Pak-India Tension and Possibility of War..! Pak-India Tension and Possibility of War..! 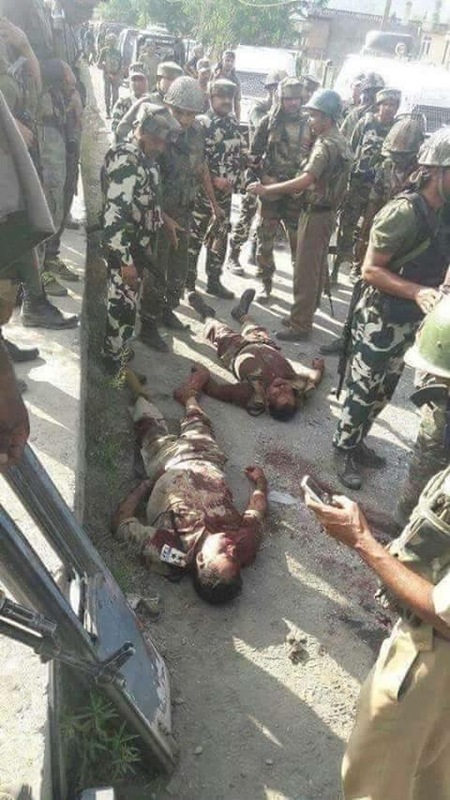 According to Indian claims on 18 September 2016, 4 armed persons attacked Indian Army Headquarters in Uri Sector, District Baramula Indian Held Kashmir in which 17 Indian soldiers were killed while 30 were injured. As soon as attackers entered 12th Brigade HQ they started firing with automatic weapons. Attack was so furious that Indian soldiers were unable to react. 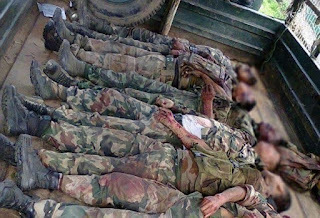 After exchange of firing for hours with the Indian soldiers deployed for security at least all 4 attackers were killed. Still exchange of firing was going on that Indian Ministers started blaming Pakistan, creating pro-war environment. Indian Foreign Minister Raj Nath, cancelled his visit to Russia and USA declaring Pakistan as a terrorist country and told journalists that Pakistan would be soon given a befitting reply. Modi in his twitter message assured Indian public that planners of attack will not be forgiven. In his message Modi declared Pakistan as leaders of terrorists and appealed to the world to seclude Pakistan. Indian DG Military Operations called his counterpart in Pakistan on hotline and repeated his allegation against Pakistan for being involved in the attack; this was rejected by Pakistani DGMO asking for evidence. 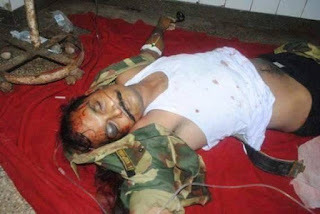 Indian electronic media made more than two dozens of retired Indian Generals in order to discuss the attack. Their style of discussion was that as attackers had entered Indian HQ carrying Pakistani flags and Pakistan has accepted the responsibility for the attack. From TV anchors to every analyst started discussion with such certainty that Pakistan is involved in the attack. After this, threats to Pakistan were started in order to fuel war mania among Indians. Some Indian channels were looking like Operation Room where the time of attack on Pakistan, choice of the region for attack, possibilities of resistance from Pakistan and capturing Pakistan crushing the resistance from Pakistan were being discussed. The style was such as war has been started and Indian army commanders are planning their next strategies in the light of the reports coming from the battle field. What happened in Uri, this is still limited to the reports given by Indian govt. Indian media busy in propaganda against Pakistan also does not know that what happened in the Indian army HQ because media was not allowed to visit the place. 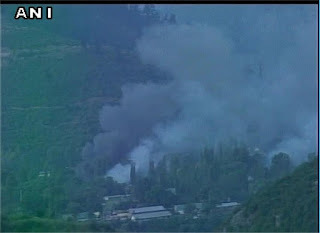 However, the pictures of Indian soldiers killed in the attack were shared by some Indian soldier through his mobile phone to his friends or a video and picture showing smoke rising from the HQ has been showed which was made by media from distance of few kilometers. Why media was kept away from the place of attack? This raises many suspicions. Indian Held Kashmir where 700,000 Para-military troops and 700,000 regular Indian army is deployed, latest system security, security check posts on every road or unpaved ways leading to Indian army barracks or HQ. No one can pass through these check posts without proving his identity. Laser guided sensors and security cameras who can detect and report movement of any living creature. In such a way in the presence of net of barbed wires, security measures etc. only a mad man or suicide will attempt to enter into such area. 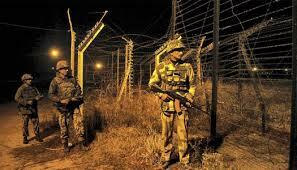 Such a security system has been established by India on the Line of Control (LoC), where two walls of barbed wires have been erected by India, the distance between these two walls is from 10-15 feet. In the place between the roles of barbed wire has been placed in such a way that leaving humans aside, sparrow cannot pass through it. With this wall electric lights have been installed in such a way that from satellite the LoC can be seen as line of light. Moreover, Electricity is also present in these barbed wire walls. Laser sensors are also present on these walls which on detection of any movement raise the alarms. Despite of such arrangements if India blames Pakistan for sending attackers than this is nothing more than a joke. If attackers belonged to Indian Held Kashmir than alleging Pakistan for such attack is nothing more than a mischievous blame. On the other hand these allegations raise questions on the situation of internal security in India as well as capability of Indian army that how attackers succeeded in entering Indian Army HQ. Curfew has been imposed in Indian Held Kashmir for last 3 months and Baramula is such a district where situation remains tense. Baramula is on the top of the list where Indian army has established torture cells. Baramula also got attention of media due to discovery of mass graves. In such an area which is so much important for India, the entry and attack of four attackers is full of suspicions. 1) The 70% of Indian army has been deployed in Indian Held Kashmir since 1989. Indian army has failed to crush Kashmiri freedom movement despite of their tortures and violations of human rights. Straight firing over unarmed Kashmiris, baton charging innocent children etc. has made Indian soldiers psychos. Not allowing for soldiers to go on leave is also a big reason for increasing depression among Indian soldiers. In Indian Held Kashmir, locals see them with hatred while if they are lucky to get leave they have to face bitter questions at home as well. That is why the incidents of suicide, attacking colleagues or officers is increasing in Indian army deployed at IHK. Every month 2 soldiers of Indian army attempt suicide on average. Only solution to this situation is the political solution of Kashmir dispute. Ego of Indian rulers and extremist Hindus is the only hurdle in the solution of Kashmir dispute. 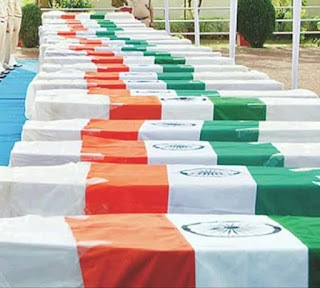 In such a situation there are possibilities that the Uri incident might be the result of internal grouping or dispute due to which Indian soldiers might have started shooting each other which was at once blamed at Pakistan. This is not something new, such incidents have been reported in American army deployed at Afghanistan as well. 2) After martyrdom of Burhan Wanni, in the way Kashmiri youngsters have raised the freedom movement, this has made India lose her nerves. From the martyrdom of Burhan Wanni, Kashmiris are protesting against it. More than 108 innocent children and youngsters have been martyred as a result of direct firing of shot gun by Indian soldiers. So called pellet guns or in proper words the shot guns have snatched eyesight of more than 800 Kashmiris while those seriously injured are more than 1800. During the curfew the reports of Petrol bomb attacks over the houses of Kashmiris and burning the whole families alive. Despite of shutdown of internet and mobile networks the shocking video recordings have been uploaded to Social Media. Due to which pressure against India is rising. The organizations of human rights, UNO, OIC, Arab League etc. are warning India repeatedly that India should stop the use of pellet guns. Peaceful elements present in India having objections over the acts of Indian PM Modi and extremist Hindus have started criticism openly. Moreover, Sikh living in IHK are also supporting Kashmiri Freedom Movements. Sikh have also raised the demand for Khalistan as well which is getting stronger with passage of time. The Pakistani campaign for IHK has also increased international pressure over India. In such situation only one way has been left for India to stage such a drama which may divert the attention of the international community from the Indian tortures over Kashmiris. This has been proved in the Indian courts that Indian secret agencies are involved in terrorist attacks and bomb blasts in India in order to blame and defame Pakistan. 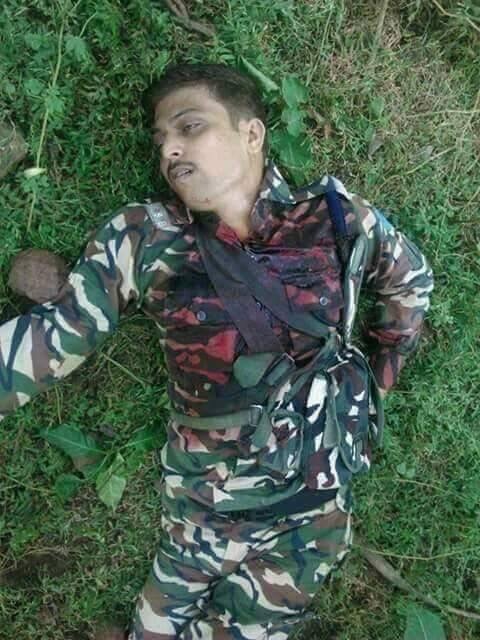 Killing few soldiers in order to get rid from the international pressure and controlling current wave of freedom movement than this is not a big deal for Hindu India. In the Ori HQ of Indian army only 17 Indian soldiers have been sacrificed. In November 2008, Hemant Karkare along with 28 others was killed in the drama of Taj and Oberoi hotel and Pakistan was alleged for these attacks as well. Ironically, the President of Pakistan of this time Asif Ali Zardari gave the statement with the start of these attacks that non-state actors might be involved. This statement is still haunting Pakistan. 3) The cold war between China and USA is increasing day by day. Exploiting Japan, Philippines, Taiwan and South Korea USA is trying to create hurdles for China in South Asian Chinese sea. In order to avoid this situation China has signed CPEC to fulfill Chinese need of oil, gas and industrial activities. The construction work is rapidly going on. Some other countries of the region also have concerns over this as well. While India considers this as a hurdle in her imperialist designs. In order to create hurdles in the way of CPEC USA is using India, however, despite opposition from India, terrorism in Balochistan and failure of plans of spreading lawlessness in Karachi there is only one way left to engage Pakistan army in war as Pakistan army is committed to defend and complete CPEC at any cost. By waging war against Pakistan, Pak army will be forced to divert attention from security of CPEC workers which will also pave way for terrorists to attack from Afghanistan and Baloch insurgents waging a new wave of bloodshed in Karachi. But in order to create environment for war, India chose to have terrorist activity in IHK. In this way India would get justification for limited war against Pakistan on LoC creating hurdles in CPEC as well. Although India chose Uri Brigade Headquarters but left many loop holes; the pivotal objection is that how terrorists succeeded in entering the Brig HQ. In the way electronic media is telecasting programs and giving reports of Indian preparedness for attack over Pakistan. Indian retired Generals while giving analyses on the TV ignored that Pakistan army is busy in practical war for last 15 years. Pakistan army has fought most difficult war of the history against agents of enemy and invisible enemy. In case of war with India when enemy in front of our brave soldiers they will feel proud in killing them without any confusion so that no other innocent is targeted. India also knows that she defeated Pakistan in 1971 through traitors within Pakistan. Otherwise, whether 1965 war, brass tack war games etc. Pakistan made it clear to the India that what would be the result of the attack over Pakistan. Now Pakistan has small tactical nuclear weapons and capability to fire them timely with accuracy. India should also keep this in mind that 80,000 Pakistanis have lost their lives in the hands of Indian terrorists. 5000 soldiers and officers have sacrificed their lives while defending motherland. For Pakistanis it is not something new to sacrifice life for the motherland. Now we are waiting for the chance to take revenge of innocent children killed in APS Peshawar attack.